election conducted in the state in 2018. 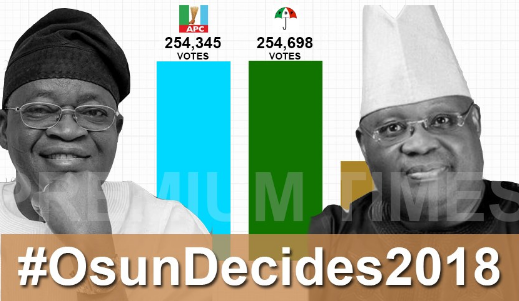 The Osun State governorship election tribunal sitting in Apo, Abuja has scheduled Friday for judgment in the petition by the People’s Democratic Party (PDP) and its candidate in the September 2018 governorship election held in the state, Senator Ademola Adeleke. PDP and Adeleke are, by their petition, challenging the declaration of Adegboyega Oyetola of the All Progressives Congress (APC) as the winner of the election by INEC.